What are the Consequences of Failing to Pay Alimony in Florida? Those who fail to comply with court orders in Florida face stiff penalties. This is especially true in family law cases, where a failure to pay child support or alimony as required by the court could have a serious impact on a child or former spouse’s quality of life. 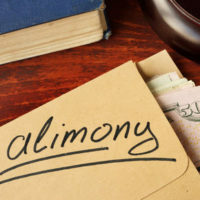 If your own ex-spouse is refusing to pay alimony or you are unable to meet the alimony award ordered by the court, you should strongly consider consulting with an experienced Fort Lauderdale alimony attorney who can ensure that your interests are protected. In Florida, many judges are willing to order one half of a divorcing couple to pay alimony, but only after analyzing a series of factors, including each party’s financial needs, the standard of living during the marriage, the relative ages of the paying and receiving spouses, the length of the marriage, and each spouse’s assets and earning ability. Permanent periodic alimony, which is awarded to assist the spouse with fewer assets and must be paid until the recipient remarries or either party passes away. Regardless of the type of alimony that a court decides to award, the paying party is required to submit payments on time and in the agreed upon amount. Those who fail to abide by these rules face serious consequences. Ex-spouses who fail to pay alimony as ordered by a judge can be held in contempt of court, which means that they could be required to pay a fine or even do jail time. However, it is much more common for judges to respond to this type of violation by ordering that the non-paying party’s wages be garnished, which means that a portion of the paying spouse’s wages will automatically be siphoned into an account to cover alimony payments. Courts are also permitted to seize a non-compliant spouse’s valuable assets to cover the cost of alimony. This could include not only bank balances and wages, but also rental income, physical property, dividends, and royalties. Similarly, Florida judges are permitted to place liens on the non-paying party’s property, which means that he or she will be unable to sell the asset until the full amount owed is paid. Finally, courts have the right to confiscate the income tax refund of the spouse who is in violation of the court’s order. 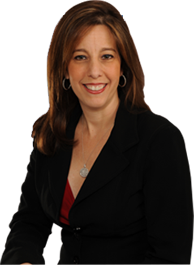 To speak with an experienced attorney about your alimony payments, please call dedicated alimony lawyer Sandra Bonfiglio, P.A. at 954-945-7591 today.